Welcome to the tipping point, when livestreamed mobile video officially became part of our digital world's everyday social experience. Today, Twitter officially launched Periscope, which it bought as a startup and rolled out publicly after a week of letting a few key influencers, tech journalists and viral content creators test the app. For now, Periscope is only available on iOS devices, though an Android version is reportedly being fast-tracked. A potent competitor to the rapidly embraced streaming app Meerkat, Periscope offers a few key differences from the scrappy upstart that won over early adopters at South by Southwest. But it also shares some of Meerkat's lesser-appreciated features, like constant notifications and questionably valuable content (the latter of which, of course, isn't the app's fault). 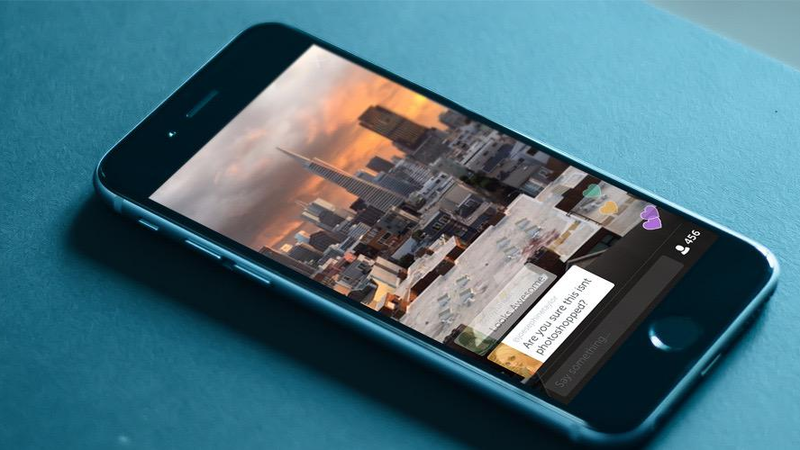 So what exactly makes Periscope one of the year's hottest apps? And will it, in fact, relegate Meerkat to the dustbin of digital obsolescence? "As far as livestreaming apps go, and there aren't very many so far, it's certainly the best I've seen. … It was admittedly sort of cool. And a tiny bit addictive." "It feels like the right platform and the right time. We all have smartphones now, with good cameras and fast LTE connections. And we're desperate for more unmediated access to the people we care about. … It's more immediate than Twitter, Instagram, even Snapchat. It's life, right now, through anyone's eyes I choose. It's intoxicating. With just a few taps of the smartphone, users can start broadcasting their surroundings to the rest of the world. Like Twitter, this means Periscope has the potential to capture the mundane as well as the prolific moments. "Right up top are broadcasts that are currently live, but if you look underneath that, you'll see a list of recently recorded ones. That's right; unlike Meerkat, which doesn't let you view archives of past livestreams, Periscope lets folks keep their live broadcasts around for later replay. And because Periscope allows me to watch videos hours after the moment has passed, I get to see a lot more of them than I would with something like Meerkat. "With most streaming apps, from Meerkat to Livestream, there's a long gap between when something is captured and when it actually appears on your screen. It makes for awkward, asynchronous interactions, because one of you is way behind. Meerkat's commenting feature is crushed by that latency, which never goes below about ten seconds and often goes much higher; Periscope worked to get streaming latency down to as little as two seconds, which means you really can converse with the broadcaster in real time." "I've been using the app for the last week. I do prefer the clean, fast and friendly design to Meerkat's lackluster interface, not to mention the fact that I can actually watch streams that are no longer live." "Yes, both apps stream video with almost zero friction. But when you get down to it, Periscope is what Meerkat would look like with a little more thought put into it. It's cleaner, the chat function makes more sense and you can save your videos for later viewing. Plus, it features something that's sorely missing from Meerkat: the ability to line up a shot before streaming." "Perhaps the greatest part of Periscope—I certainly think it's a highlight — is the fact that you can send hearts to the broadcaster by tapping on the screen. Each tap will send a heart. Tap the screen multiple times and you'll send a flurry of animated hearts. … It's a very minor feature but it's one that I find rather delightful. "Of course, Periscope is still very much in development. There's currently no support for landscape mode and you're not able to type in the comments section yourself—the idea is that you're supposed to speak to your viewers, not just type at them"